Now, if you’re an experienced smoker, this is probably quite obvious. However, some beginners may be scratching their head at the best method for storing their new cigars, or even worse, they may not know that storing them is even a thing! Failure to do so can result in a dry cigar, which nobody wants. If you’re unsure, then you should know that humidors are the best option when it comes to storage, period. In short, a humidor is a humidity controlled, airtight container for cigars and other tobacco-based products. They are used to lock in the moisture to prevent them from drying out. This is vital, as tobacco is grown and sourced from hot countries with high humidity. Therefore, when you move this plant-based product to a less humid, colder country they can become dry. Humidors come in all sorts of shapes and sizes, as well as different designs and price points. Now, if for some reason you find yourself without a humidor (which we sincerely hope you do not) then here are some alternative methods to preserve your cigars and help prevent them from drying out. That’s right, using a plastic storage bag, accompanied by a slightly damp sponge is an alternative makeshift storage solution for cigars. Simply place a few cigars into the bag, grab yourself a new sponge (the kind you’d wash your car with) and cut off a small portion. Next, wet the sponge with distilled water, ring it out, so it’s only slightly damp, place into the same bag and seal it up. Store away and keep at room temperature. There you have it, your temporary cigar storage solution as easy as that! This solution should work well for a little while; keeping the contents humid for a couple of weeks. Just make sure that there are no holes in the bag, as well as ensuring that it’s sealed properly. Also, make sure to check the sponge’s moisture from time to time, to make sure it isn’t drying out to fast! Failure to do so will render this method ineffective. A plastic bag and sponge isn’t exactly the most attractive looking storage solution for cigars, even if it’s only a temporary measure. If you want to store them in a more sophisticated manner, why not use a glass jar with a rubber sealed lid? Not only does this option look quite good, but it will also protect the cigars better than a plastic bag. The method is the same as the plastic bag and sponge; place the cigars into the jar, wet a small portion of sponge with distilled water, place into the same jar and seal. You can alternatively use humidity pouches with both of these methods, such as the Boveda pouches. These are great as they require less maintenance than a sponge, releasing moisture over time at a predetermined humidity level. 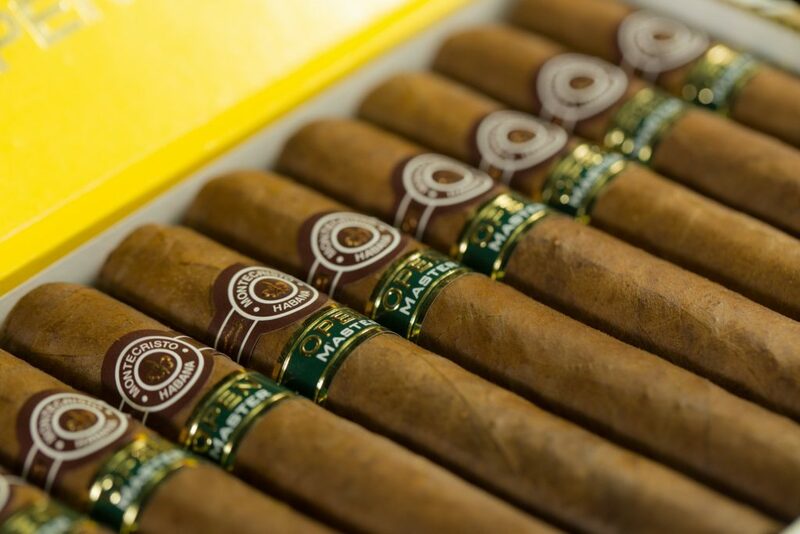 Contrary to popular belief, you should NOT store cigars in your fridge. Fridge’s have a low humidity; to store cigars correctly, you’re looking for roughly 65-70% humidity. 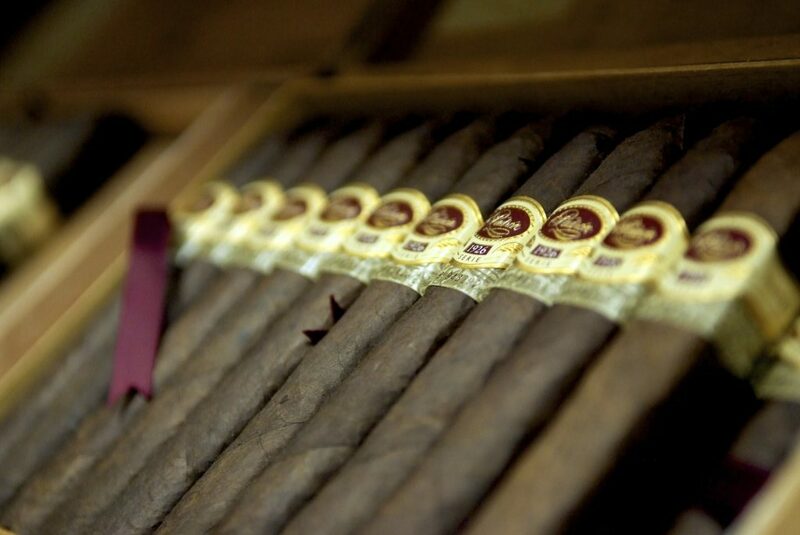 Therefore, storing cigars this way will result in the drying out very fast. While the boxes that cigars come in are usually quite interesting to look at, they are by no means a suitable container to keep them in over an extended period of time. Boxes that have additional plastic wrapping around the box are better than those without, however, you should look to switch the box relatively fast for one of the storage solutions above, ideally a humidor. Can you think of any alternative methods for cigar storage? Be sure to let us know your suggestions through our socials! When you decide to bust out your prized cigars, you might find it useful to read our ultimate guide to pairing, along with six tricks to enhance your smoking experience. This entry was posted in Guide and tagged cigars, Guide, humidor.